By now we all know that Brussels sprouts are delicious. (Right?) They are fantastic braised with pancetta or bacon, scrumptious blanched and tossed with pasta, and unexpectedly tasty shredded and served as a salad with walnuts and pecorino. I recently tried this to-die-for recipe for fried Brussels sprouts with a honey-sriracha sauce. It was a lot of work and a lot of mess, but completely amazing. Basically, I could eat Brussels sprouts every day in the fall and winter, and my favorite fallback, everyday way to chow down on these nutty nuggets is to roast them. It’s simple and oh, so good. There are two tricks. First, make sure the sprouts are nicely browned; don’t take them out of the oven too soon. Second, make sure you salt them enough. As one of my friends said, they should taste like popcorn. 2. Cut each of the sprouts in halves or fourths length-wise. You want all of the pieces to be about the same size. 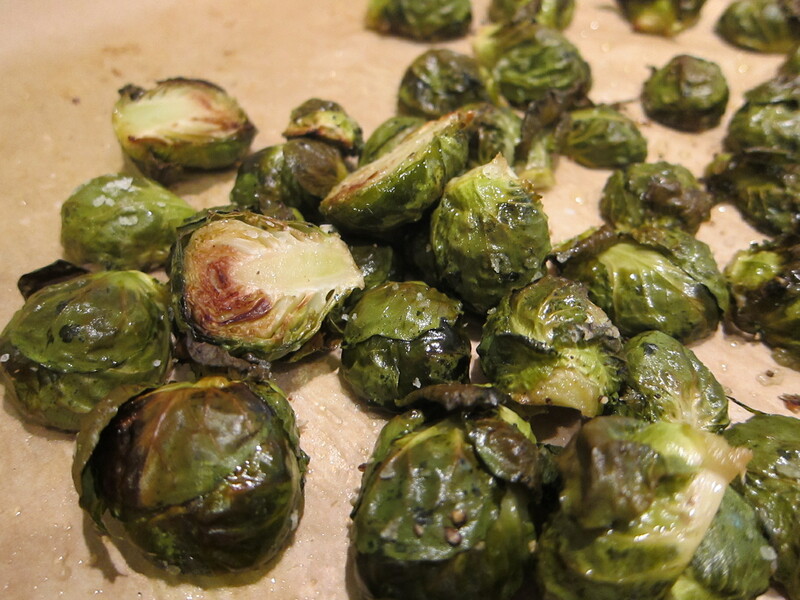 Place the sprouts on the baking sheet and toss with the olive oil, salt, and pepper. 3. Roast until the sprouts are nicely browned, 30-35 minutes. Taste for seasoning, adding more salt and/or pepper if necessary. 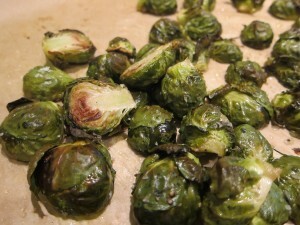 This entry was posted in Blog and tagged brussels sprouts, Recipe, vegetables. Bookmark the permalink. I was hoping there would be something new up!! I do love those sprouts! John will love the honey-sriracha variation. I will try that one next time I bring them home. I personally think the roasted ones taste like french fries!! Sometimes we add crushed red pepper to the roasted ones if L isn’t joining us. Sooooo delicious! New recipe. Yeah!! I look forward to eating these.